The 6th floor hostel is the closest hostel to the main train and bus stations and only 5min from the city center, with pleasant rooms, view on river Sava, and comfortable lounge. 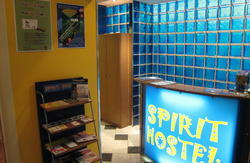 Hostel is located in the heart of the Belgrade nightlife. Walk five minutes and you will reach the National Theatre, Knez Mihajlova Street (main pedestrian street) or the Belgrade fort Kalimegdan. It has big common room with TV (cable), DVD player, Hi-Fi, and computers with internet access (cable)... 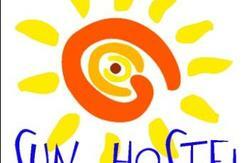 There is a comfortable kitchen with microwave oven, fridge as well as bathrooms with 24h hot showers. In price are included sheets and towels. p.s. 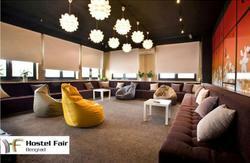 ON FRIDAY 5TH APRIL FOR DORM ROOM PRICE FOR ONE PERSON IS ONLY 5 EUROS !!! For groups we have a special offer- for 8 people or more staying for a minimum of 2 days, 5 euros per person for a night, except for Jun, July and August! go straight and cross the karadjordjeva street. 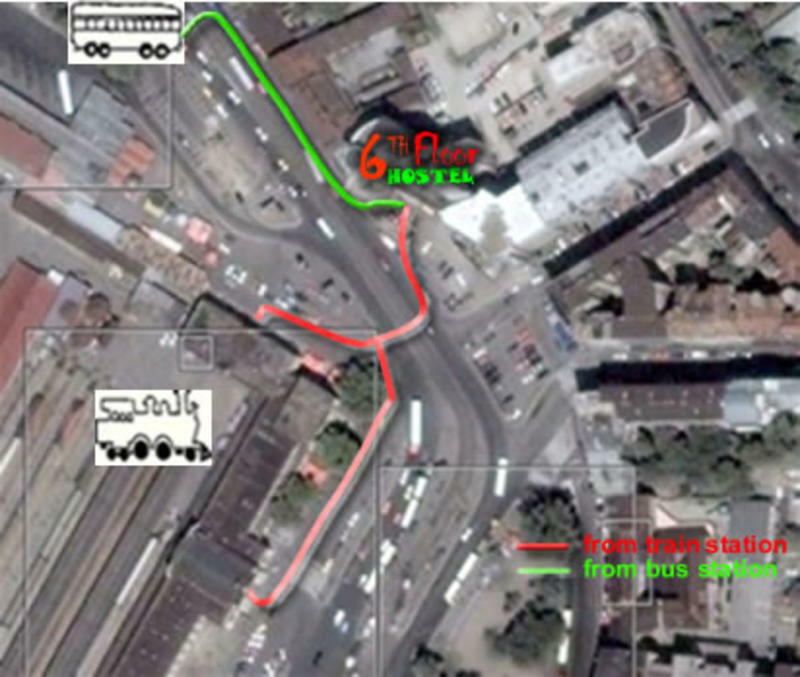 go right till the end of the second block (just before the square) and you will be in front of the 6th floor hostel!